The company has enrolled the first patient in the first of two Phase 3 trials for its MicroStat program for pharmacologic mydriasis. On Monday (November 26) Eyenovia (NASDAQ:EYEN) announced it has begun the first of many Phase 3 clinical trials it has planned over the next year, which are set to prove its technology is ready for the ophthalmology market. The company enrolled the first patient in the first of its two Phase 3 trials for its MicroStat program for pharmacologic mydriasis, which is a pupil dilation. Pharmacologic mydriasis takes place during most eye examinations and has over 80 million applications per year in the US, according to the press release. Patients will be micro-dosed with either fixed-combination phenylephrine 2.5 percent or tropicamide 1 percent ophthalmic solution. The first trial, MIST-1, will use the company’s patented piezo-print technology through the Obtejet dispenser to administer the solutions. The company plans to report data from both of these trials, MIST-1 and MIST-2, in the first half of 2019. 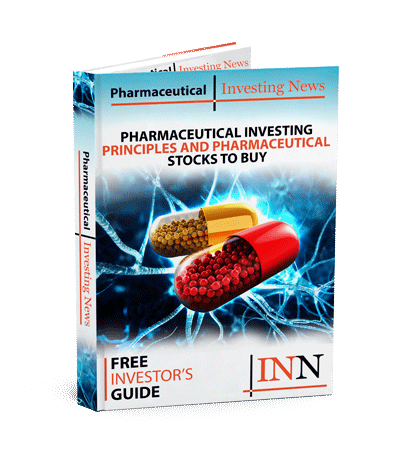 The Investing News Network (INN) spoke with Eyenovia’s CEO and chief medical officer, Dr. Sean Ianchulev, and the company’s vice president of marketing, Michael Rowe, to gain insight on the trials and the company’s technology. The main features of this technology include: precisely-targeted topical delivery, smart electronics, precise delivery and microdosing. In comparison to other drugs such as injections and oral therapies, medical professionals are more assured the drug will be administered to the patient. Ianchulev said a paradox of topical eye delivery—such as eye drops—is the drug is only delivered 50 percent of the time. This is mainly due to patients missing their eye. “If you can’t get a drug in [the patient’s eye], you can’t get any efficacy out of it,” he said. “In the case of our jetprint technology, the micro-dose is delivered before you can blink—about 80 milliseconds,” Ianchulev told INN. The drug solution is delivered precisely with the high precision of an inkjet printer and delivered horizontally, he said. The dispenser uses a blue LED light alignment technology so the patient can target the drug to be delivered right on top of their cornea. “This is really important to have the drug delivered right on the ocular surface,” he said. By microdosing, Ianchulev explained the company reduces the dose of drugs and exposure to preservatives in the solution by over 80 percent. This could lead to a more gentle and efficient treatment for patients. The difference in dose will be reduced from 30-50 μL to 7-8 μL. Eye drops are also mixed with other fluids such as preservatives. The high amount of liquid results in solutions generally dripping out of the patient’s eye, and even getting into the mouth, Rowe said. These problems wouldn’t exist with the Obtejet, he added. This unique dispenser comes loaded with the company’s drug ready for administration. The technology can be found in all of the company’s products. Rowe added the company has a big advantage in starting out with the pharmacologic mydriasis indication. By reaching a broad range of ophthalmologists and optometrists, they can get familiar with Eyenovia’s technology and its administration. Once the company expands the technology’s applications, the professionals will already be familiar with the technology. This technology could speed up eye examinations and make the experience more comfortable for patients. The pharmacologic mydriasis is just one of many indications in Phase 3 clinical trials the company is about to initiate. For this indication, MIST-2 will be initiated soon while three other indications for the technology will also initiate Phase 3 trials within the next year, Ianchulev said. Trials set to begin in the first half of 2019 include: the MicroPine Phase 3 trial for myopia progression, the MicroProst Phase 3 trial for chronic angle closure glaucoma and the over-the-counter registration for MicroTears for dry eye. If successful, the MicroPine trial could lead to the first ever US Food and Drug Administration (FDA)-approved drug for myopia progression. The total addressable market in the US alone is 5 million patients. Eyenovia joined the public market with a US$27.3 million IPO in January. The company has a current cash position of about US$21 million, according to its Q3 2018 financial results. Ianchulev confirmed this amount is enough to keep the company operating until the end of next year. This includes the completion of the MicroStat program and filing the New Drug Application with the FDA, among other events. Ianchulev said most ophthalmology clinical trials require less patients, are more cost effective and are faster than other drug trials for oncology. “We able to do some of the studies in a more efficient and capital efficient way,” he said. Over the trading period, Eyenovia’s share price closed at US$2.90 on Monday, representing a 12 percent increase. Based on one analyst rating on TipRanks, the company’s share price could see an increase of up to US$12 in the next six months. H.C. Wainwright analyst issued a “Buy” position for the company on November 14. The next six to twelve months should be full of milestones for Eyenovia. Investors looking for more information can follow the company’s news for data readouts and more clinical trial updates. Please teach the price of your eyenovia device ? Please teach the starting schedule to sell your eyenovia device in America ? Please teach the plan to sell your eyenovia device in Japan ? And then what company to handle in Japan ?